Last chances to get to know the educational offer and to apply for one of the university courses of IUSTO, Istituto Universitario Salesiano Torino Rebaudengo. By taking part in one of the Open Days you will be able to discover the academic programs 2018-2019. It will be a chance to be helped in making a choice about university and professional life. 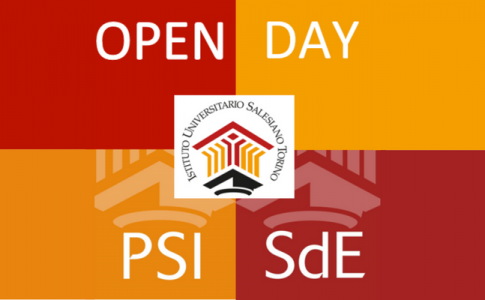 On the Open Day there will be an introductory part on the educational offer of IUSTO and the academic world, followed by the presentation of every degree course. Students and graduates will talk about their experience. At the reception you will be able to find the staff of the information office, who will be available for interviews to know you better. For info and selection go to the detailed document of the Bachelor’s degree. This academic course is the only one which can be taken both during the week (traditional course, mainly from Monday to Saturday), with 80 available places, and at weekends (mainly on Saturday and Sunday), with 80 available places too. The second option has been designed for the ones who, for personal or professional reasons, cannot attend the lessons during the week. The APPLICATIONS FOR ADMISSION must be submitted online by 3rd September for the written test of 5th September and from 4th to 20th September for the written test of 24th September (if there are places available). Take part in the next OPEN DAY: Friday 7th September from 10:00 a.m. to 1:00 p.m. The entry is free until there are places available, after having confirmed the participation online. Register for the open day here. The confirmation of participation online is compulsory, and people who accompany must be pointed out in the provided section in the application form. The event will take place at IUSTO, in Piazza Conti di Rebaudengo, 22 in Turin. The APPLICATIONS FOR ADMISSION must be submitted online by 9th September for the written test of 12th September and from 10th to 23th September for the written test of 27th September (if there are places available). Take part in the next OPEN DAY: Saturday 8th September from 10:00 a.m. to 1:00 p.m.